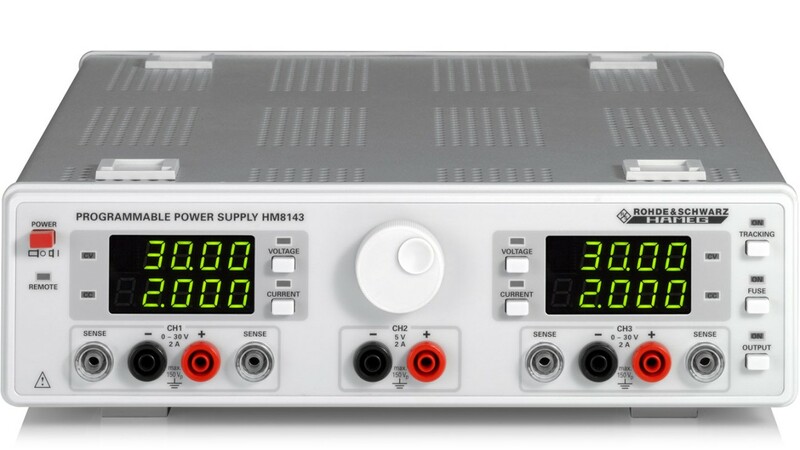 The R&S®HM8143 power supply is the perfect choice whenever two-quadrant operation is needed. 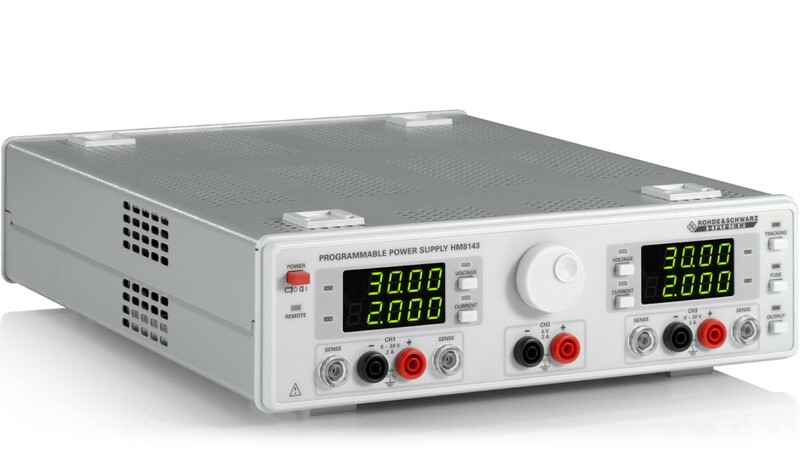 Besides the source functionality, it also provides electronic loads to accurately sink current and dissipate power in a controlled manner, for example to emulate the characteristics of a battery being charged or unloaded. 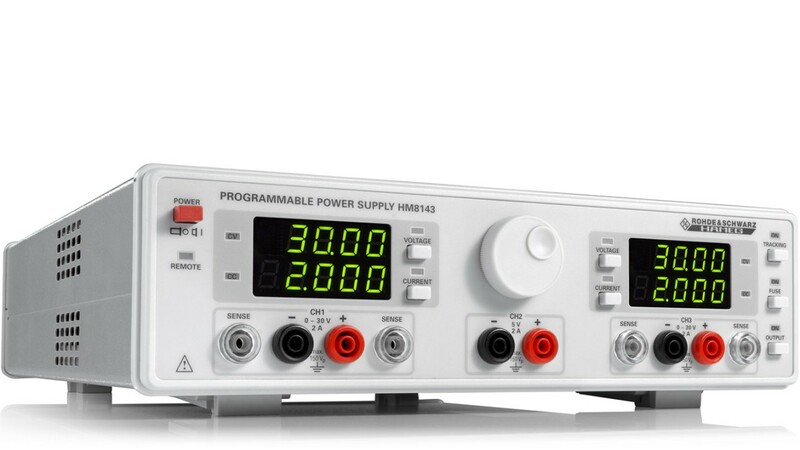 The R&S®HM8143 offers two channels with up to 30 V source and sink functionality plus one source channel with 5 V. Electronic fuse and modulation inputs are additional features. 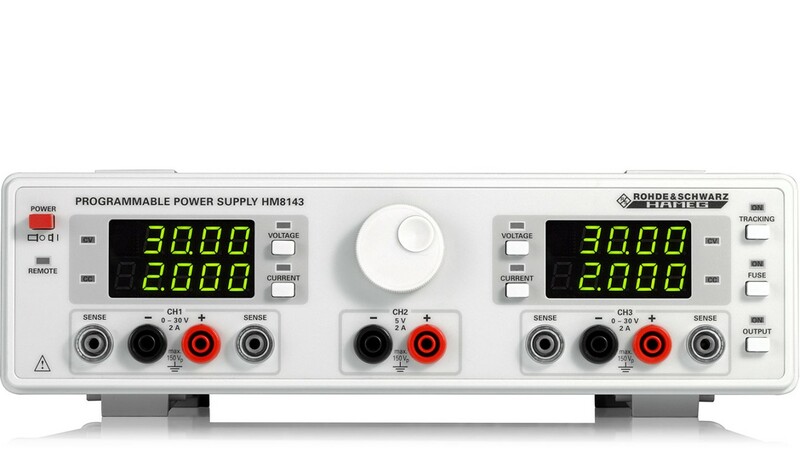 The R&S®HM8143 can be used to supply often used 5 V circuitries without needing another instrument. In order to provide even better protection than current limiting, the R&S®HM8143 offers the feature of an electronic fuse. As soon as the current limit is reached, all outputs are simultaneously disabled. 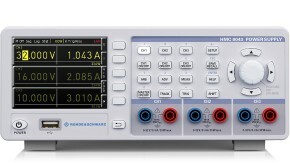 The R&S®HM8143 provides two modulation inputs on the rear, so it can be used as a power amplifier with a frequency range from DC to 50 kHz. 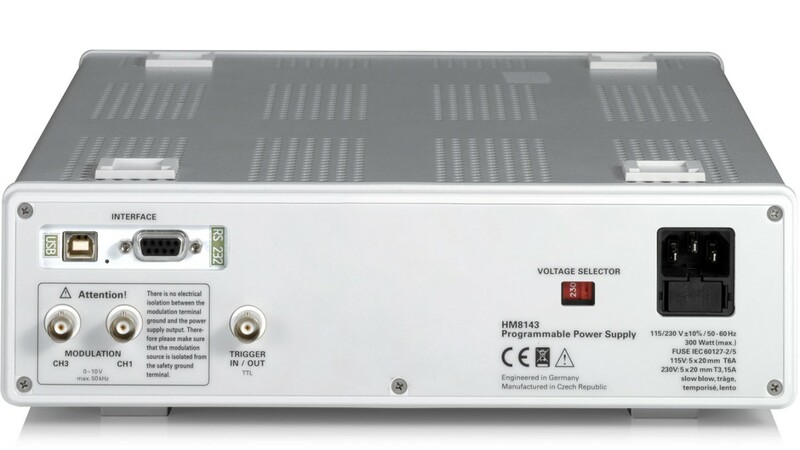 Applications include testing of AC motors, relays, etc. 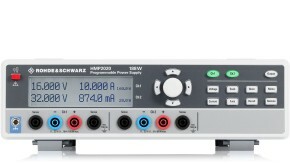 In the parallel operating mode, channels can be bundled to achieve higher currents. 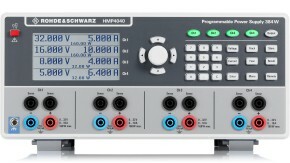 In the serial operating mode, channels can be combined for higher output voltages. 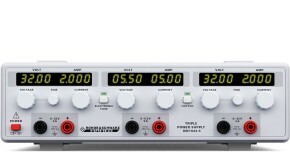 The arbitrary mode can be used to generate a time/voltage flow. 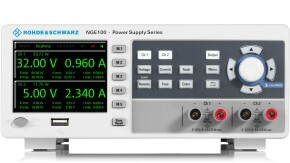 A table comprising up to 1024 voltage and time values can be defined using external software tools.